Andy is responsible for the John Innes Centre website and our social media channels. He uses these to extend the reach and accessibility of John Innes Centre science and the impact it has on the wider-world. Andy has a background in website design and usability, copywriting and social media management and is currently studying for a Diploma in UX Design from Glasgow Caledonian University. 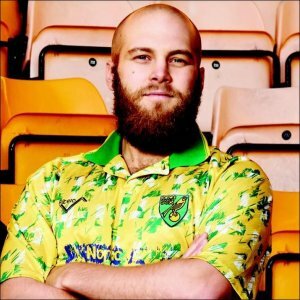 In his spare-time Andy runs an online Norwich City fanzine and is an author, currently writing a history of football chanting.